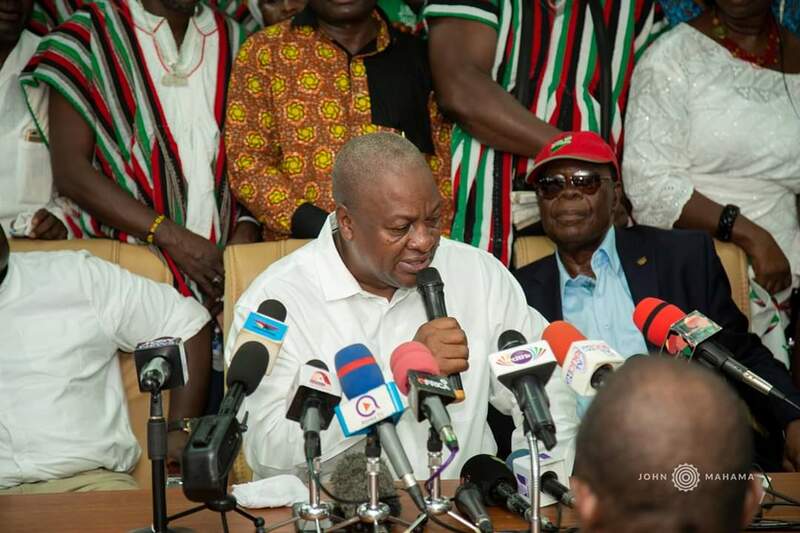 Former President John Dramani Mahama has expressed appreciation to Ghanaians for their prayers and support during his 22 years of public service to the country Ghana. While praying that the country will be strong again, he was hopeful that God’s abundant goodness and grace will continue to be the portion of the citizenry in 2019 and beyond. I join you, my fellow countrymen and women, to thank God for seeing us through another year, with his love and blessings. The New Year, 2019, brings with it the promise of a fresh start, and an opportunity to renew our resolve to strive for greater and better goals. For me, this extends beyond the personal, as I owe you all my fellow Ghanaians, a debt of gratitude for your support and prayers in my twenty-two (22) years of public service. I commit you to God’s grace, and I pray that His abundant goodness and grace will continue to be our portion in 2019 and beyond. May God bless our homeland Ghana and make our nation great and strong once again. Special Prosecutor Bill thrown out of Parliament ?